Take care of yourself! 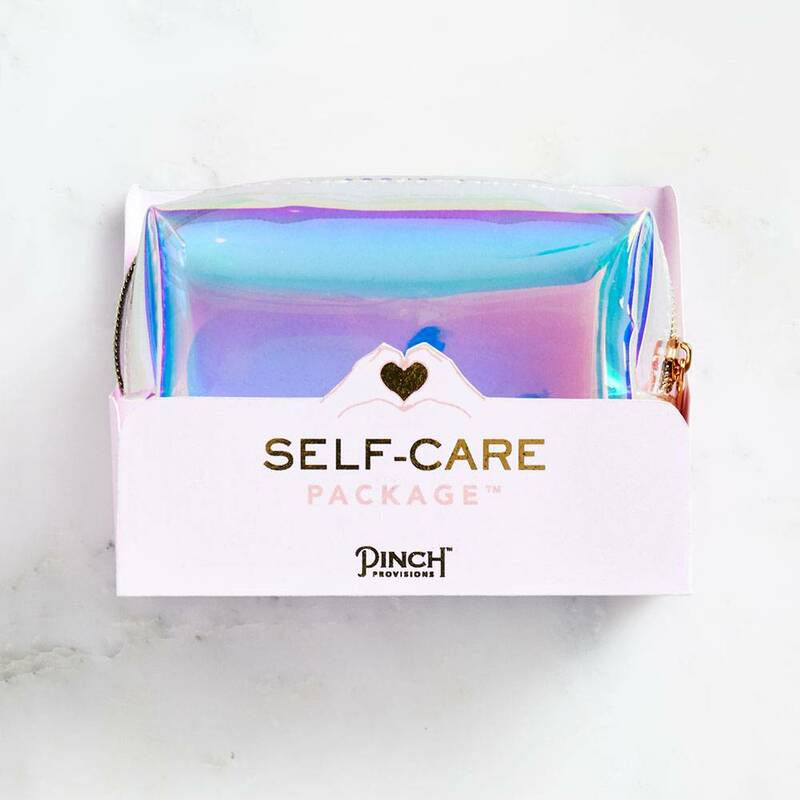 Mini self-care package arrives in an iridescent pouch and contains a face mask, eye mask, lavender essential oil, ear plugs, mini water infuser, enamel pin, eye gel packs, and a habit tracker. Enjoy the ultimate relaxing bath with Royal Craft Wood Bathtub Caddy! Made from 100% natural organic bamboo. Choose these Deluxe Lifestyle Candles to naturally enhance the ambiance of your home + enrich your mind, body, & spirit. 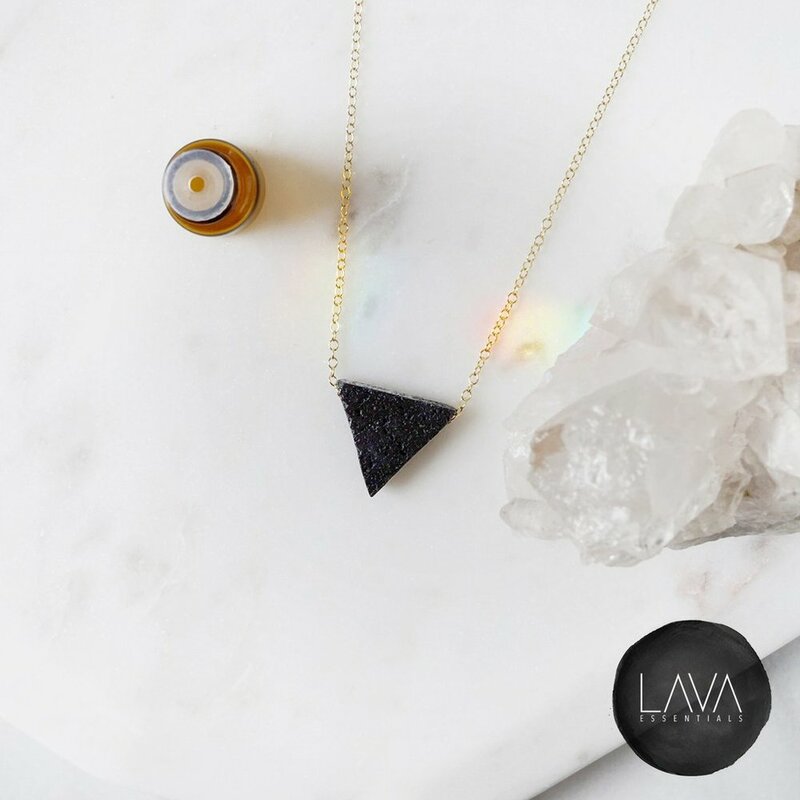 Handcrafted lava triangle necklace also doubles as an essential oil diffuser. With its minimalist, versatile and simple design, it features a carefully selected lava triangle stone and high quality hypoallergenic dainty chain. Perfect for layering or wearing solo. Manifesting your dreams starts with one simple act: writing it down. With this Undated rose gold planner, the possibilities are infinite. 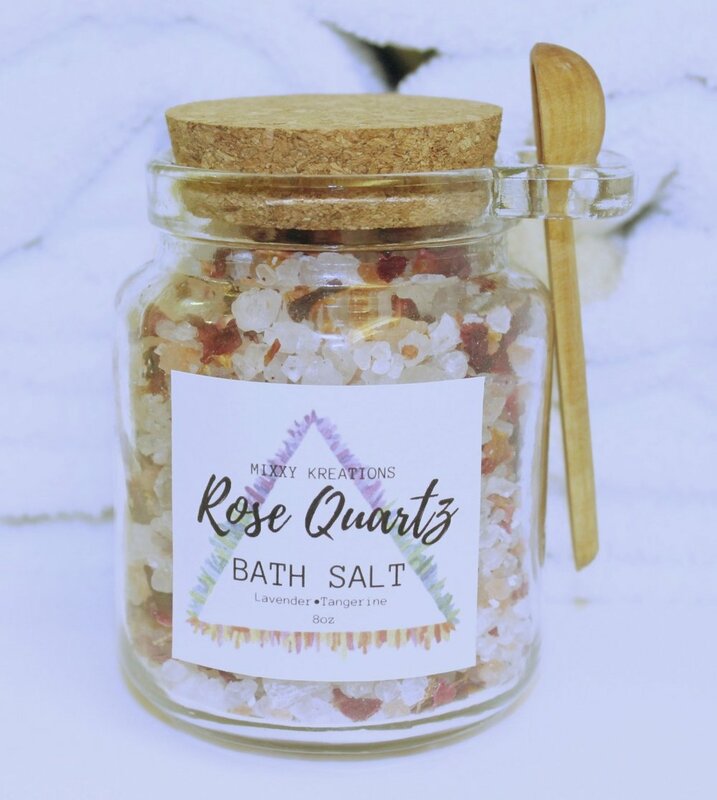 The detoxifying natural minerals and elements from Himalayan Pink Salts and Dead Sea Salts are essential for a healthy soak for the skin and body. Restorative dried rose petals which contains natural oils, will lock long lasting moisture within the skin. Infused with a unique aromatherapy blend of calming Lavender and Tangerine essential oils to promote a natural sleep aid, stress reliever, and relax the body. Be the one who isn’t glued to her phone during dinner. Tuck your phone away, but still know when there’s an important call or message with fashionably activity tracking and mobile alerts. Meditation made simple. Take the first step on your journey towards a healthier, happier life. 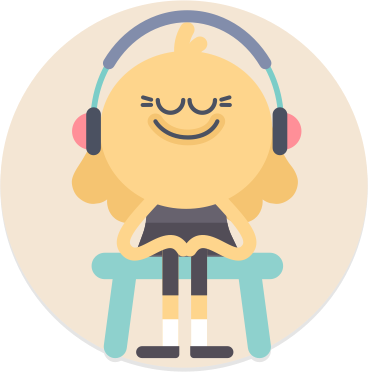 Learn to meditate with Headspace. The evenly distributed weight of CALM blankets is used to aid in conditions such as Anxiety, ADHD, SPD, Stress, Autism, Insomnia and many more sensory conditions. They are also used in everyday life when it just gets a little too much. On the eve of December 31st, I stood surrounded by a few good friends and quite a large number of strangers as the clock slowly counted down. It was officially 2019. In an absurd way this holiday cast away my past failures and gave my soul permission to start new. This year, I chose to commit to myself in a deeper way; with intentionality. I closed my eyes and worked my femimnine magic as I put my intentions into the universe. I wasn’t focused on being a new me, but more-so taking care of the easily overwhelmed, sometimes distraught, but always beautiful “old” me. The 2019 intention is to love on myself and in return share the wealth with you. Some dope things I have manifested this year with my routine include healing, awesome travel, financial freedom (I literally paid off about $3k of debt in three months), self-love, and self-awareness. It becomes more and more important that we have a space and time to ourselves. Sacred space allows us a spot that is dedicated to self-reflection and deepens the connection that we have with our faith. Treat the special person in your life (or yourself) to the gift of rest and relaxation this holiday season! A short tutorial on how to make calming spray which is perfect for those who often feel anxious like myself. Reading was the lost art that I rediscovered in the midst of loneliness…. The burden to carry pain is much more difficult than the time it takes to heal. I made the decision that I was going to stop crying and make the necessary moves to be happy. So, I have a little secret. Most of the time I look hella calm and happy, but in reality, I fight an internal battle with anxiety and depression on the daily. The Friend Zone: What Male Friendships Can Teach You About Self Love. I spent the last year intentionally cultivating and strengthening genuine male friendships. My clique bros taught me a lot about love.